Mini USB charger for your electronic cigarette batteries. This USB charger is for the LEO Pro 1000 mah battery or any device using a mini USB connection. 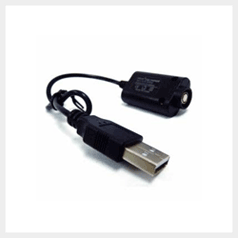 Mini USB Charger for the LEO Pro 1000 mah electronic cigarette battery. 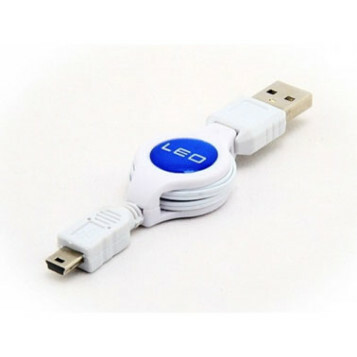 This retractable mini USB cable allows you to use your LEO Pro battery while charging (pass-through functionality). With its retractable cable it is easily carried while providing enough length for using the battery while charging. 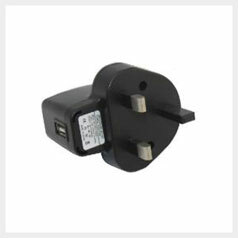 This can be connected directly into a UK USB Power Adapter Mains Plug to charge from the mains for a faster recharge time. USB charger for your electronic cigarette batteries. This USB charger is for the INNO 650 mah battery or any battery using a standard 510 / eGo connection type.